After the wpDiscuz installation and activation you should see wpDiscuz comment forms on website blog posts and pages immediately. It doesn’t requires any configuration. wpDiscuz replaces your old comment form automatically once it’s activated. 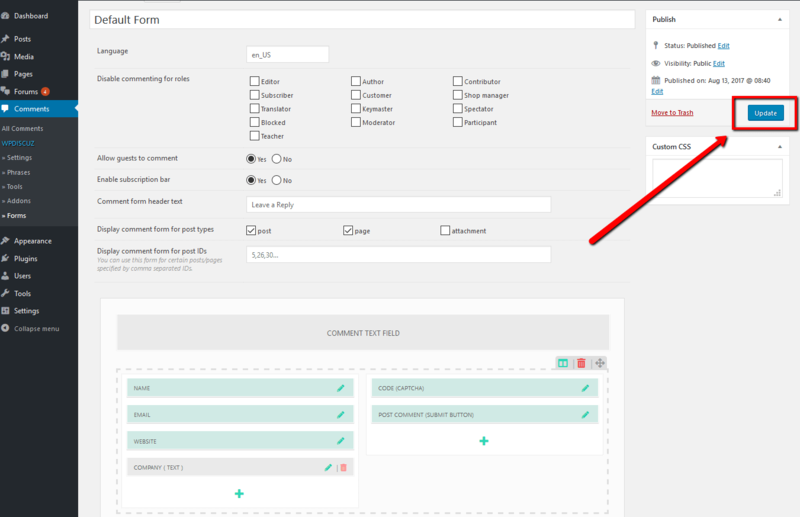 However there are many cases when wpDiscuz comment form is missing on your blog posts and pages. Please follow to all instructions below to find the reason and solve this problem. Make sure you don’t have other comment plugins activated. For example if Disqus and Jetpack comments are installed and actived, you’ll not see wpDiscuz comment form. Instead of wpDiscuz comment form you’ll find Disqus or Jetpack Comment form under blog posts and pages. Navigate to Dashboard > Comments > Forms admin page, edit the Default Form, make sure it’s enabled for all post types, save it, delete all caches and press Ctrl+F5 on website front-end. 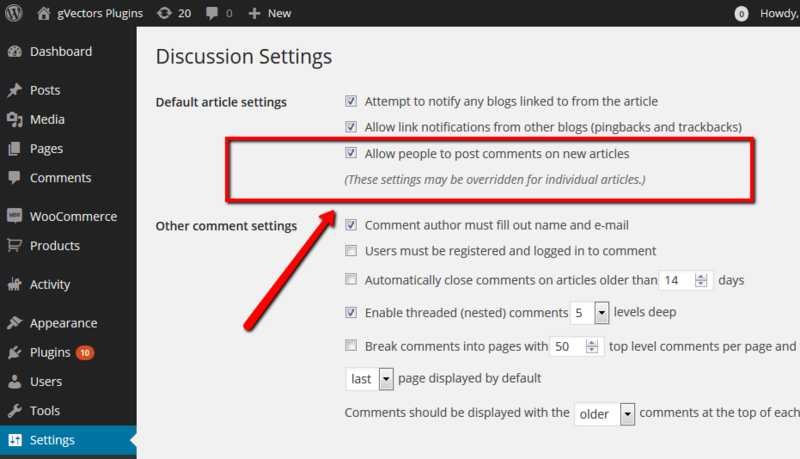 2) Find the “Discussions” admin-box below and check the “Allow Comments” option.